The Villa Carona service team cordially welcomes you! 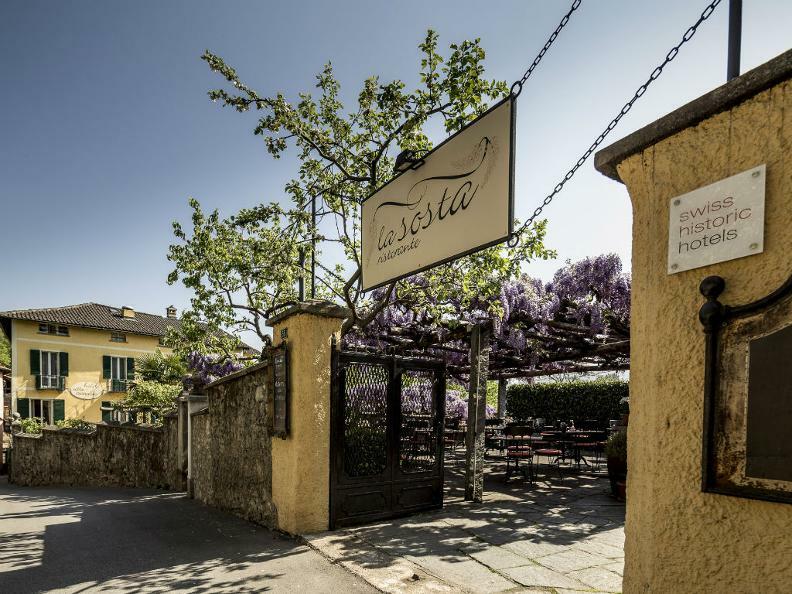 Our chef Ettore Santaniello and his team welcome you to our "La Sosta" restaurant. 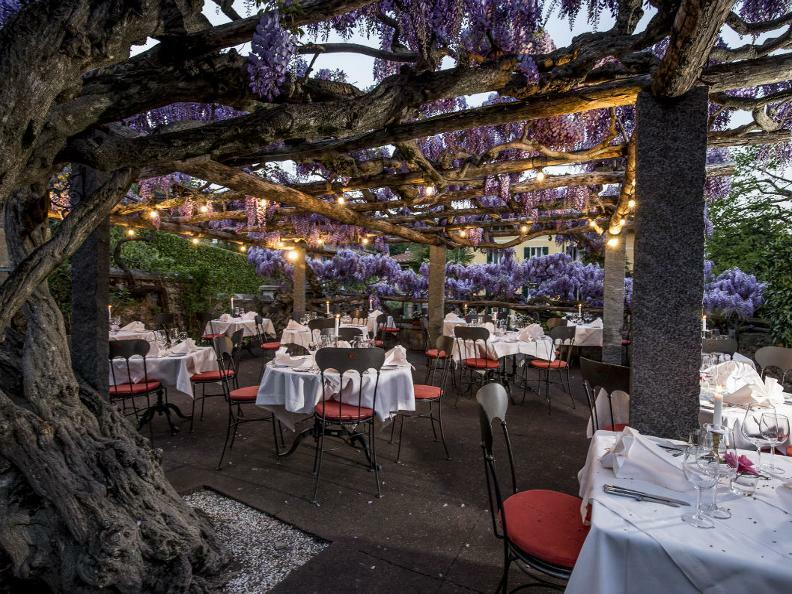 Feast to your heart's content in the Ristorante or under the pergola on our terrace when the weather is nice. 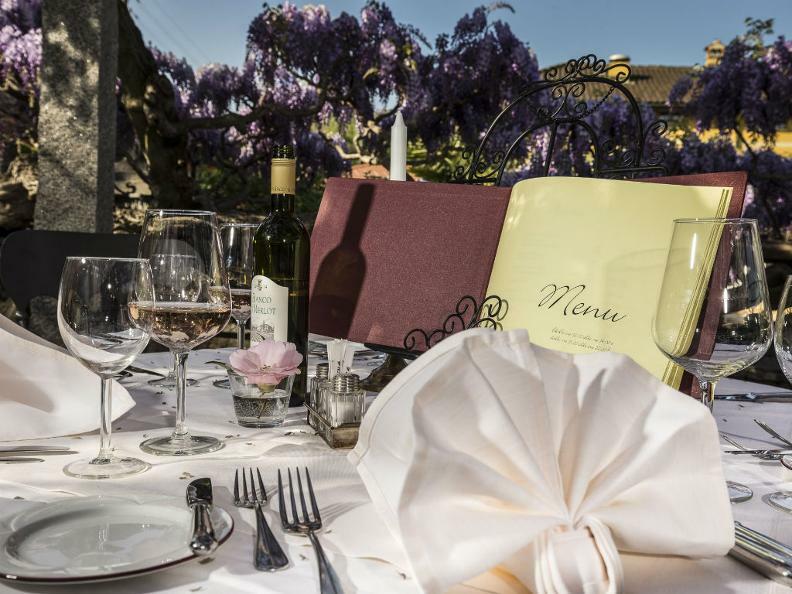 We will spoil you with typical regional, Italian and mediterranean dishes in a romantic atmosphere. We use only fresh, carefully selected ingredients from the local region. 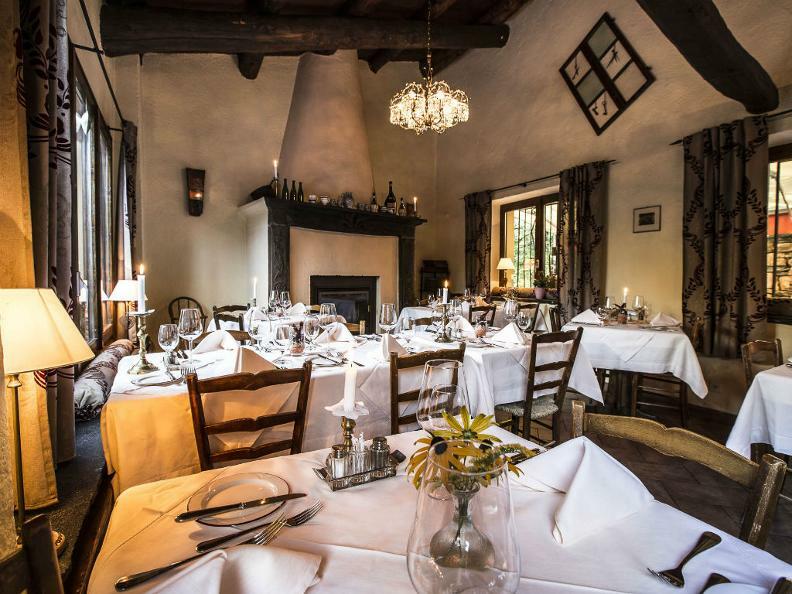 A fine wine from our wine cellar will make your dining experience perfect. In warm weather, you can enjoy to the fullest the diverse dishes and drinks from our kitchen and wine cellar on our various terraces. 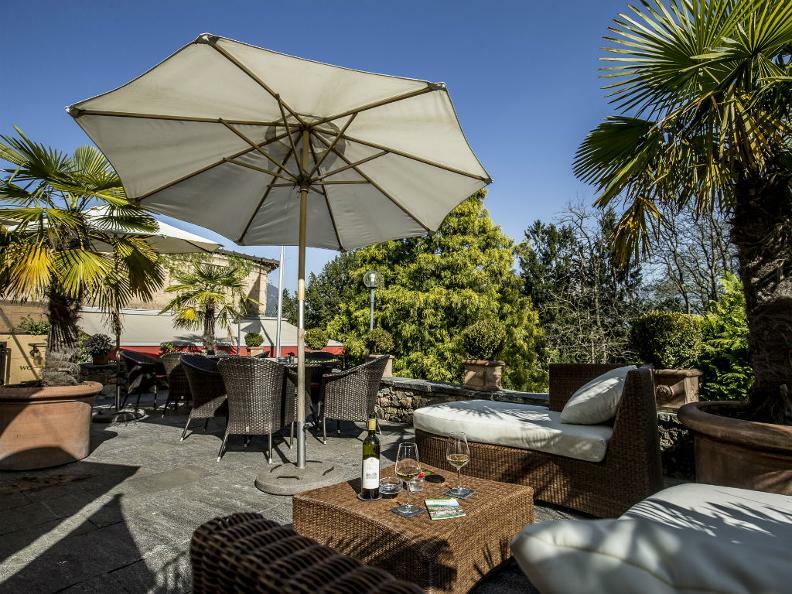 Whether you just want something "small" for lunch or something "fine" in the evening, wining, dining, and letting yourself be spoiled in the open air in the southern atmosphere will be a great pleasure for everyone. 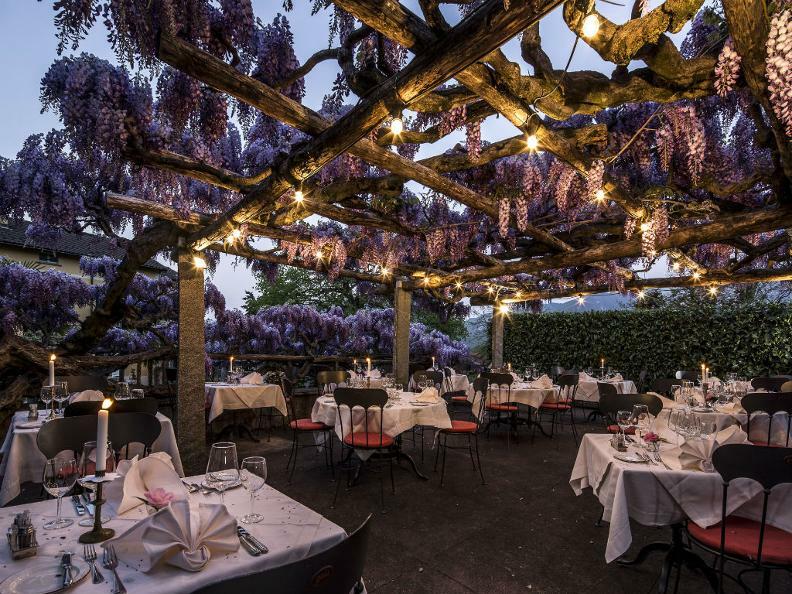 We are also happy to serve you a small snack, or you can enjoy the southern ambience with an aperitif, such as a fine glass of Ticino Merlot or even a Prosecco.